Whether you have a short-run job or a large multi-phase project, we have the digital and offset printing capabilities and expertise to provide the excellent service you need. Find professional printing and mailing services at Mellady Direct. No matter how big or small your project may be, we will help bring it to life. 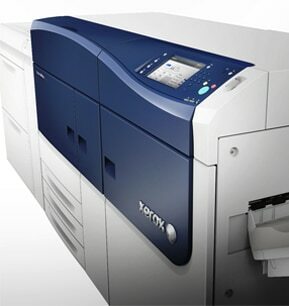 From digital printing to data procession, we have the expertise and experience to do it all. Dollar for dollar, direct mail marketing is still one of the best investments you can make in promoting your business. They key is to ensure your mail reaches your ideal target market. Mellady Direct excels not only at designing and printing high-quality mail pieces, but also curating targeted mailing lists that ensure your pieces arrive in the right mailboxes. In addition, we have expert knowledge of postal carrier routes and processing your mailing lists to achieve the best possible postage rates. It doesn’t matter if you need 100 tri-fold brochures, 10,000 business cards, or 100,000 business cards. No matter what, we can print what you need, and with same-day and next-day capabilities we can get it done quickly. Our digital production center continues to expand its capabilities, using the latest PMS-calibrated printing technology. In addition, our cutting, folding, and scoring capabilities allow for a variety of finishing options. With a complete in-house mailing facility and years of experience, Mellady Direct is well-equipped to fulfill your direct mail needs. By keeping everything in-house, we eliminate waiting times between printing and mailing. Mellady Direct continues to stay at the forefront of digital printing technology. However, if your needs call for offset printing, we are ready to help you. Standard database capture and management services from tab/comma delimited files, MS Excel, MS Access, and DBF file formats. We will consult with you on conversion/ compatibility of other file formats.